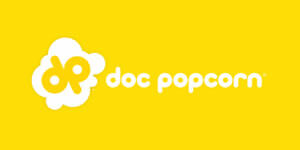 Incorporated Name: Doc Popcorn Development, Inc.
Making You Smile Is What Makes Us POP! 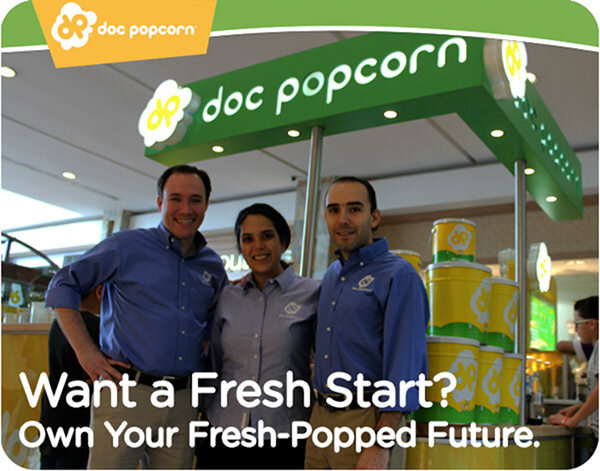 Doc Popcorn is a simple and fun business that is popping up everywhere. Inspired by “mom and pop” kettle corn makers, our founders Rob & Renee Israel spent the better part of a decade creating a mouthwatering flavored popcorn offering and a variety of flexible business models to pop fresh at high-traffic venues. We have since grown into a family of nearly 100 POPrietors who are having a blast spreading smiles worldwide with our great tasting, freshly popped snack. We provide you with a flexible platform from which to build your Doc Popcorn business in high-traffic venues. Own a Mobile PopCart™ and pop into weekend festivals, events at sports stadiums, convention centers or other entertainment venues. Open a PopKiosk™ or PopShop™ in a shopping mall or transportation hub. Or, develop your business using a combination of all three models. The choice is yours. Are you Ready to Get Popping? We award franchises to candidates who meet our financial criteria and seek a simple, fun and flexible business opportunity. Many of our POPrietors are couples and families operating their Doc Popcorn business together. They also own or plan to operate multiple locations. If this makes you smile, then fill out the form and one of our POPrietor Finders will call you to talk more about the Doc POPportunity! 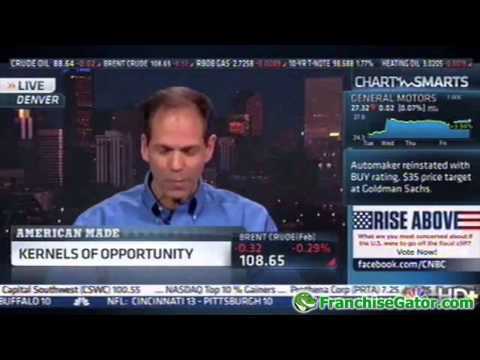 This information is not intended as an offer to sell, or the solicitation of an offer to buy, a franchise. It is for information purposes only. The offer of a franchise can only be made through the delivery of a Franchise Disclosure Document (FDD). Doc Popcorn is currently accepting inquiries from the following states: Wyoming, West Virginia, Wisconsin, Washington, Vermont, Virginia, Utah, Texas, Tennessee, South Dakota, South Carolina, Rhode Island, Pennsylvania, Oregon, Oklahoma, Ohio, New York, Nevada, New Mexico, New Jersey, New Hampshire, Nebraska, North Dakota, North Carolina, Montana, Mississippi, Missouri, Minnesota, Michigan, Maine, Maryland, Massachusetts, Louisiana, Kentucky, Kansas, Indiana, Illinois, Idaho, Iowa, Hawaii, Georgia, Florida, Delaware, Washington, D.C., Connecticut, Colorado, California, Arizona, Arkansas, Alabama, Alaska. Doc Popcorn is also currently accepting inquiries from outside the United States and Canada, but not from the European Union. @adam_rasor Just send an email to doc@docpopcorn.com. @Fandango That popcorn looks delicious!